Benjamin Price, Mark Lenders, Tom Beker, Holliver Hatton (Capitan Tsubasa for the Japanese original version), Julian Ross, Derrick Twins, were my hereos, in my favourite cartoon. It was my unmissable appointment of every afternoon. They become a pillar part in the growth of every Italian kids of my age who loved football. Some years ago there was a remake edition on dvds of the entire series of episods who were really stolen in newspaper shops. 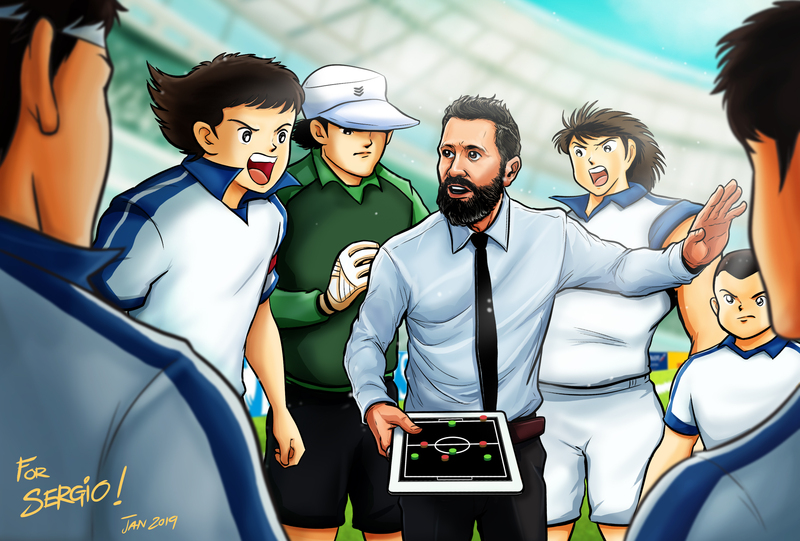 I always wondered if there were any real player or coach, who inspired the creator of this cartoon and it's been a secret dream for me to become part of this amazing anime. Finally thanks to a Vietnamese Illustrator, Mr. Tuan (https://www.instagram.com/red.flyp/) i become for one picture, one of the protagonist of the show. cảm ơn Tuan...... and who knows may be one day i will be inspiration for new football cartoon. THE 2 PLAYERS PLAY: WHY SYNCHRONIZE 2 PLAYERS IS SO IMPORTANT. Follow us on social networks to get the latest news & special offers.